The recent rotating postal strikes and the annual pre-Christmas shopping binge are behind a big jump in business for a local startup that provides same-day parcel delivery for retailers. “So it was a bit of an uptick in business,” said Tommasi. “We are sending drivers to make one pickup of 30 packages, and then they are delivering in one shot,” said Tommasi. 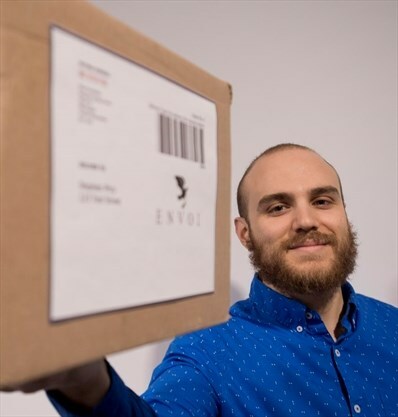 Envoi signs up retailers that can provide at least 10 parcels a day for the drivers. It has 30 drivers who are paid $20 an hour. Since Tommasi, Maarij Rehman and Jamal Mehdi founded Envoi in July 2017 it has raised $250,000 in venture capital. 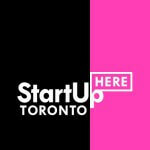 Tommasi is a psychology grad from Wilfrid Laurier University who founded or co-founded three startups and worked for two others before Envoi. Rehman and Mehdi have degrees in physics from UW. Mehdi's experience as a driver for a big courier company inspired the physics grads to develop their own optimization software. They called it Citius Solutions. When courier companies balked at buying the software, they founded Envoi. Traditionally, workers at distribution centres unload tractor-trailers full of packages. The packages are sorted by hand according to postal codes and then loaded onto delivery vehicles. That can take several hours.